At an industry gathering in India’s capital New Delhi, IATA’s Director General and CEO Giovanni Bisignani advocated what most aviation analysts in India have been saying all along — there is a desperate need for a comprehensive approach in Indian aviation, with a common vision by all involved. the simple fact is that the Indian aviation sector is minuscule compared to most airlines, even in the neighbourhood, this is despite the fact that India has a huge potential domestic market, currently at 42 million annual passengers domestic and 34 million international. 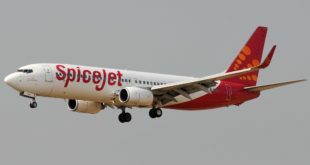 As an example the two largest Indian carriers, Air India in the government sector, and Jet Airways in the private sector, have annual revenues below $2.5 billion each. Compare this to the Thai Airways, from a nation that is the size of just one state in India, which has an annual revenue of above $4.8 billion. If one extends this, the total combined revenues of all Indian carriers would still be below that of the $8.9 billion Singapore Airlines, from the tiny island state. See Flightglobal’s excellent world airline revenue map. A key reason for this under performance is the narrow minder approach of each stake-holder in the Indian aviation market. Government, regulators, airport operators, airlines, ground handling, air traffic control, each push for special dispensations and policies to maximise their benefits while trying to put down others. The net result is that despite IATA’s upgraded global forecast for a profit of $8.9 billion in 2010, the Indian aviation sector as a whole is still expected to post a loss of $400 million while carrying a crushing debt burden of $13 billion. Liberalization: “In stark contrast to Minister Patel’s pragmatic liberalization is the old world approach to foreign direct investment (FDI) in aviation by the Ministry of Commerce. India allows 100% FDI in transit systems, ports, harbors, hotels, ocean transport and road systems. But airline FDI is restricted to 49%. Moreover, no foreign airline can invest in an Indian airline. The inconsistency is difficult to understand. Does it make sense that a non-Indian airline can own 100% of a green field airport project, but cannot invest a single Rupee in an Indian airline? 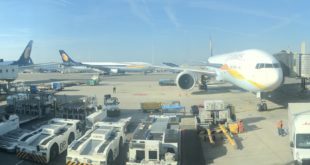 The success of India’s airlines should not be compromised by an archaic investment policy that isolates them from global trends,” [like consolidation, multi-hub and multi-brand].